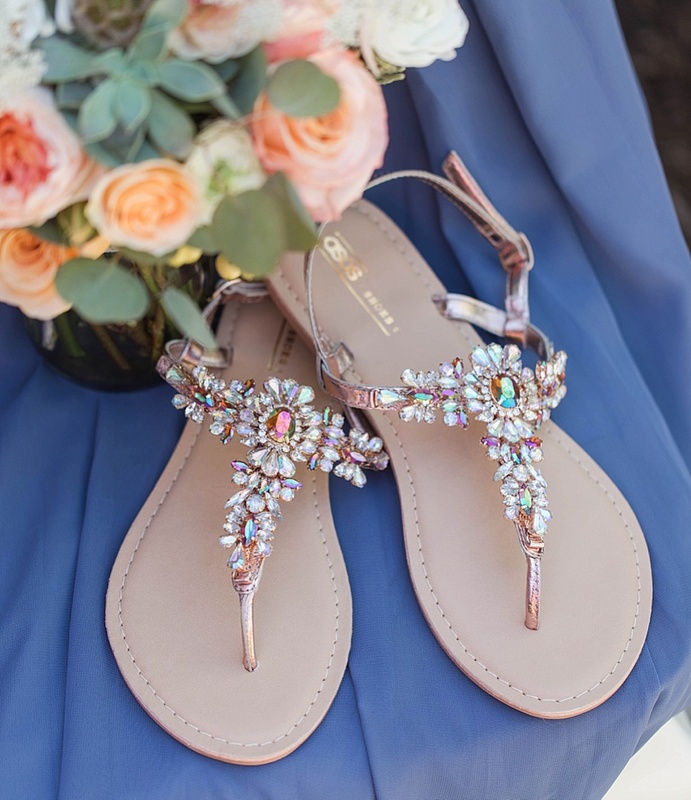 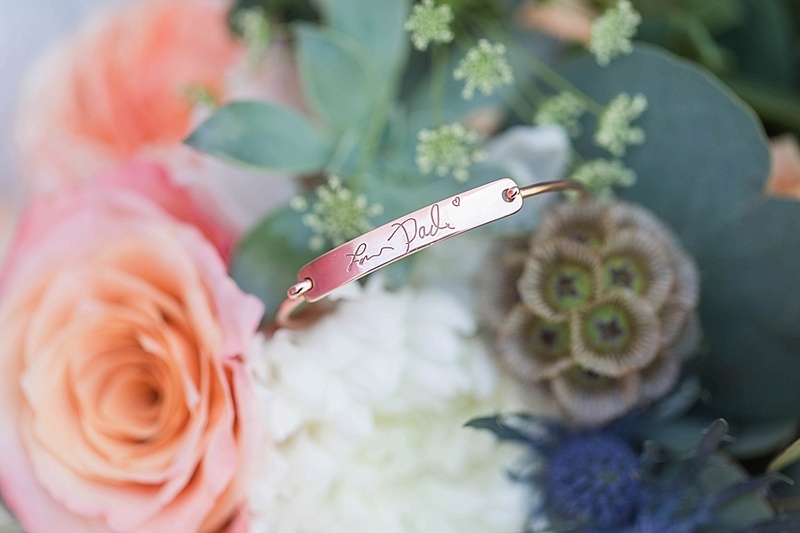 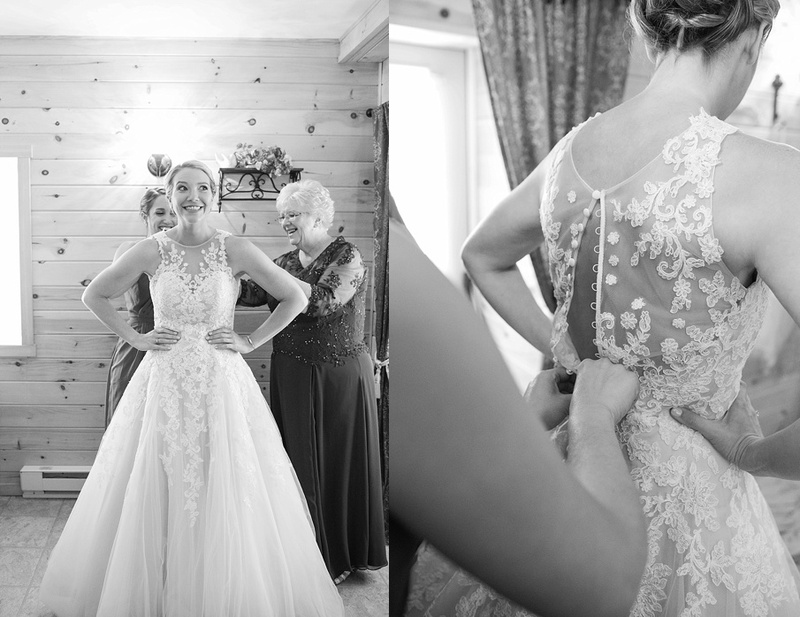 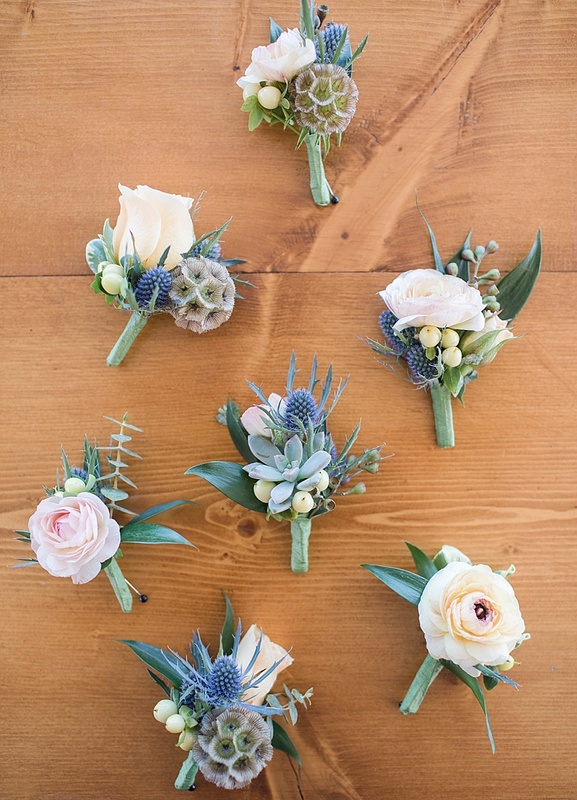 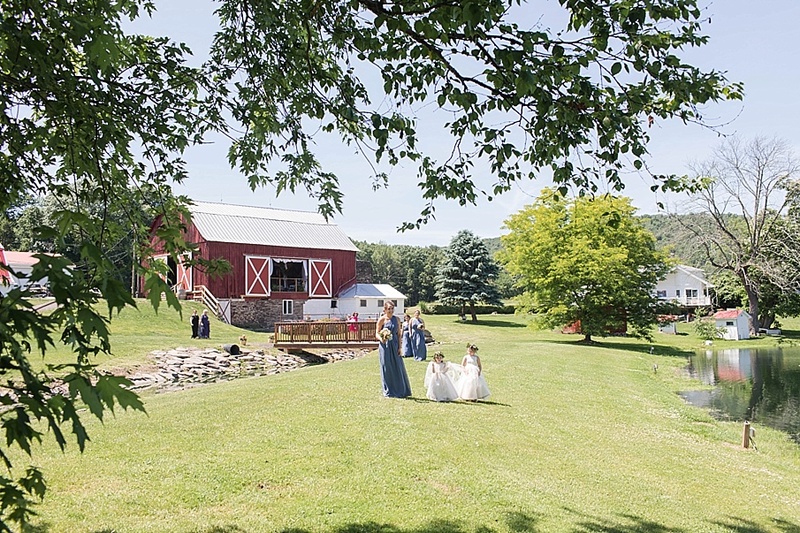 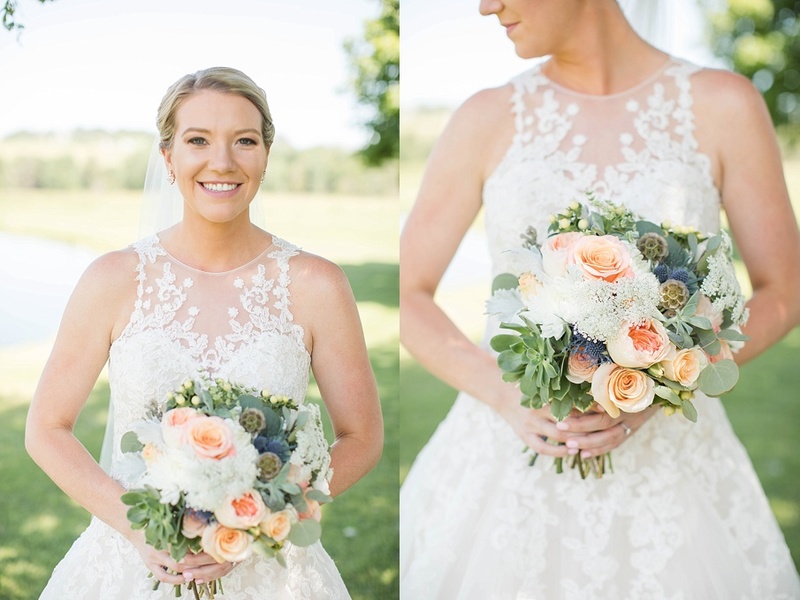 We arrived at Barn at Glistening Pond on June 16, the sun was shining, the farmer was doing hay in the field nearby, the Chippy Chicks were busy styling the reception area and the girls were in the bridal suite putting final touches on. 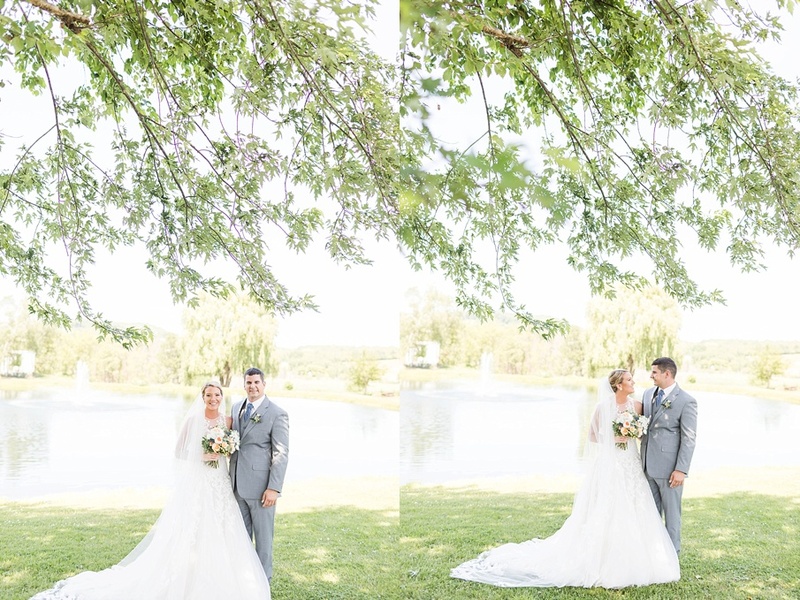 Everyone was so relaxed and soaking up the beauty of the day. 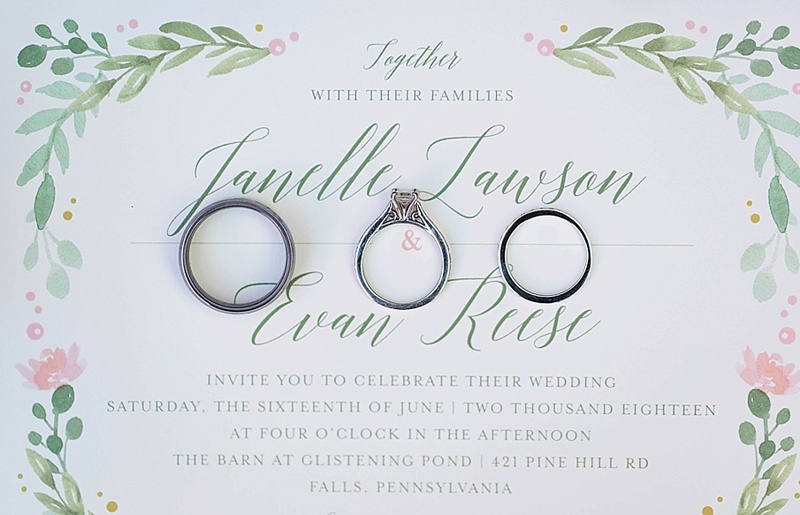 Janelle & Evan met in college and have been together over 7 years…and as the maid of honor said in her speech, everyone is so excited that they got married!! 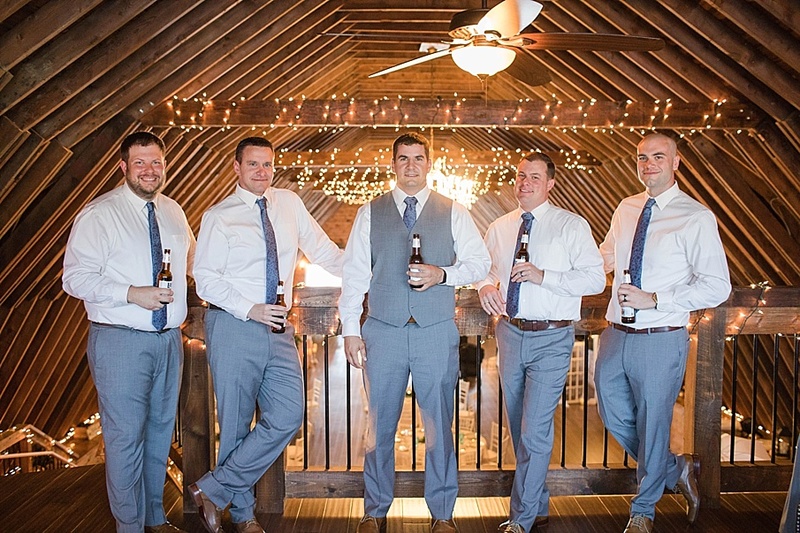 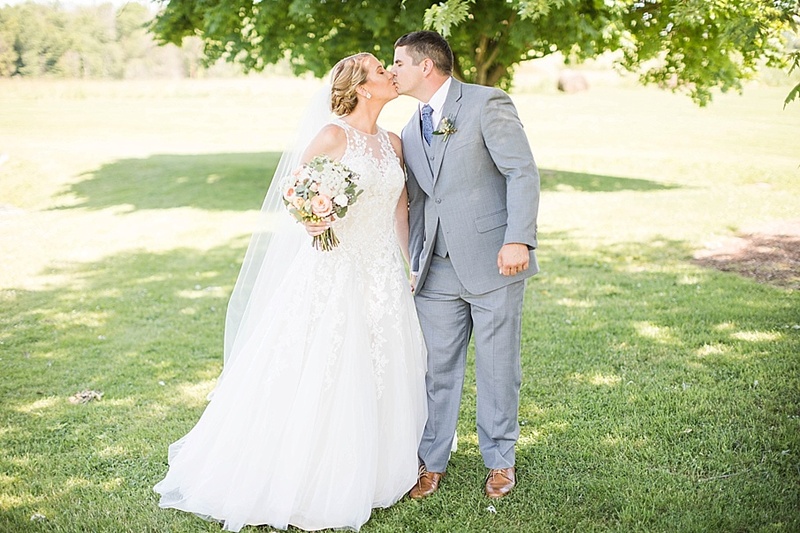 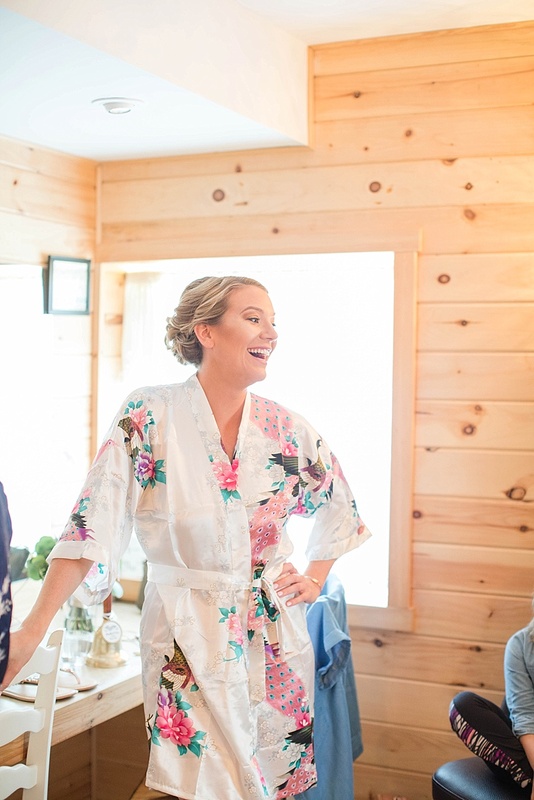 They are both teachers and have such a calm, caring spirit…even though it was their wedding day, they were more focused on making sure everyone else was having a great time! 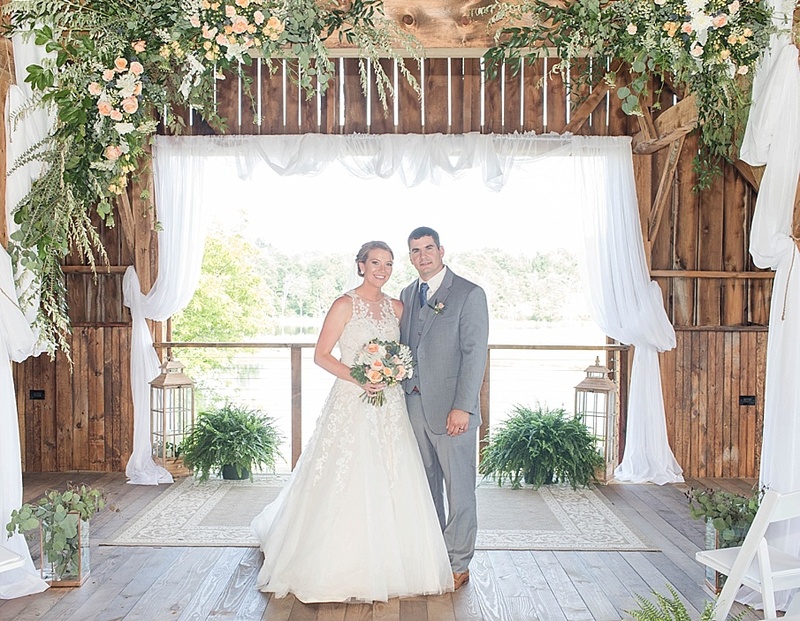 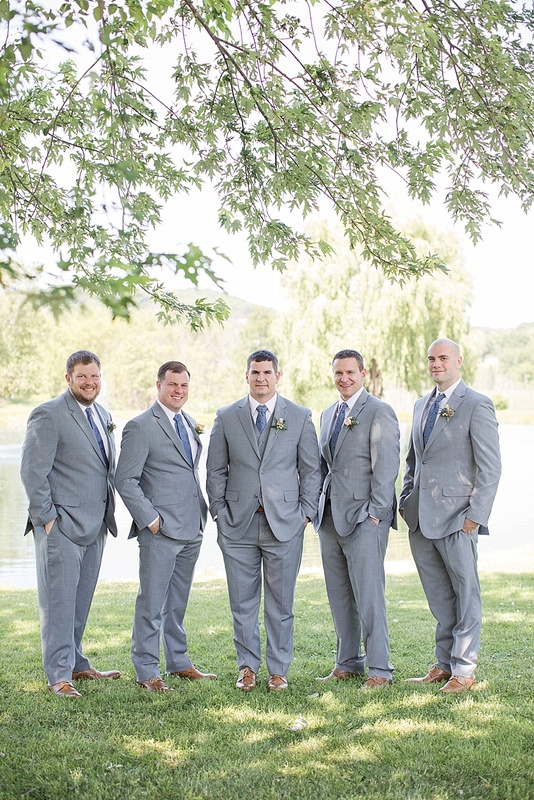 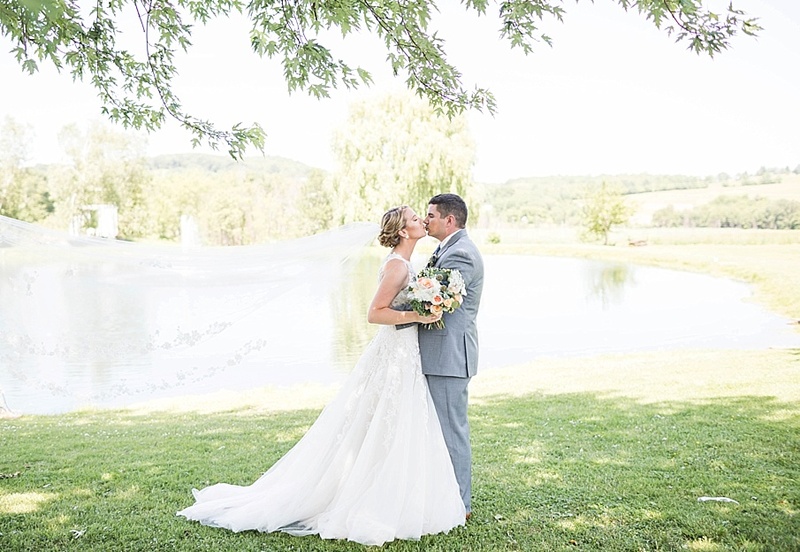 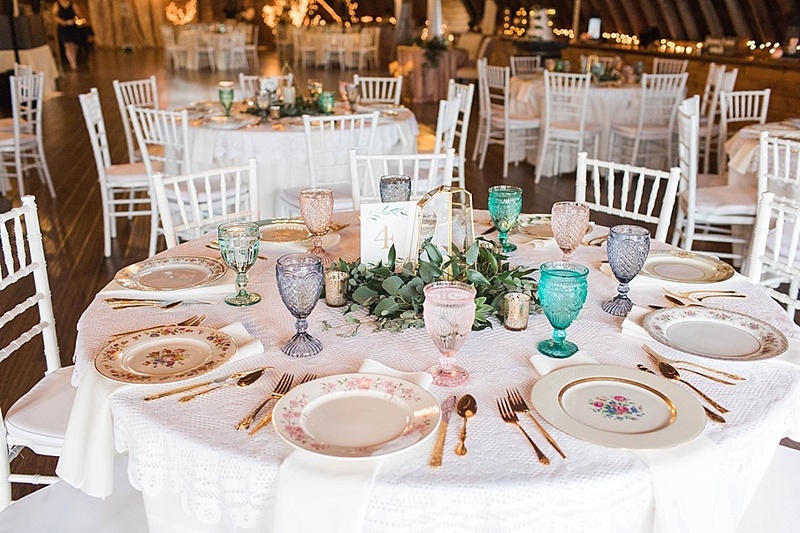 The Barn at Glistening Pond in Falls, PA (located right between Tunkhannock and Clarks Summit) is a perfect backdrop for a beautiful wedding and the gals at Chippy White Table & Monzie’s Floral made it even prettier with styling & florals! 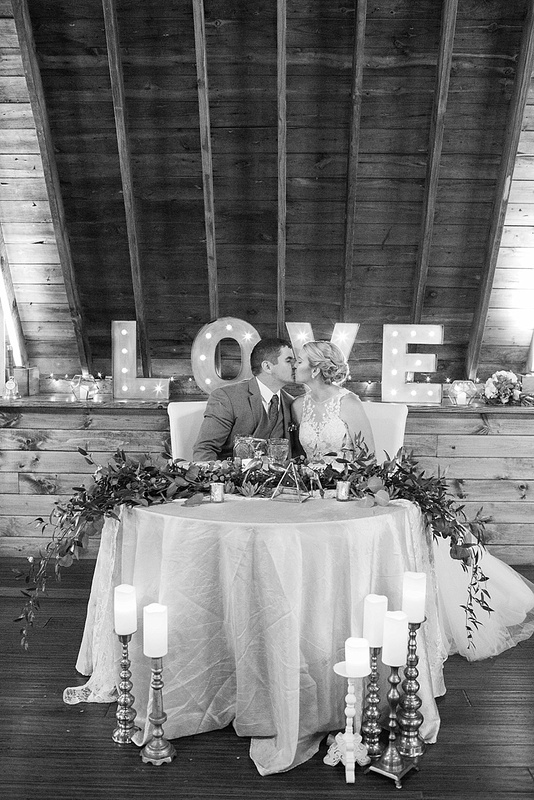 We did the first look down by the pond and they wrote each other letters to read right before they turned to see each other for the first time. 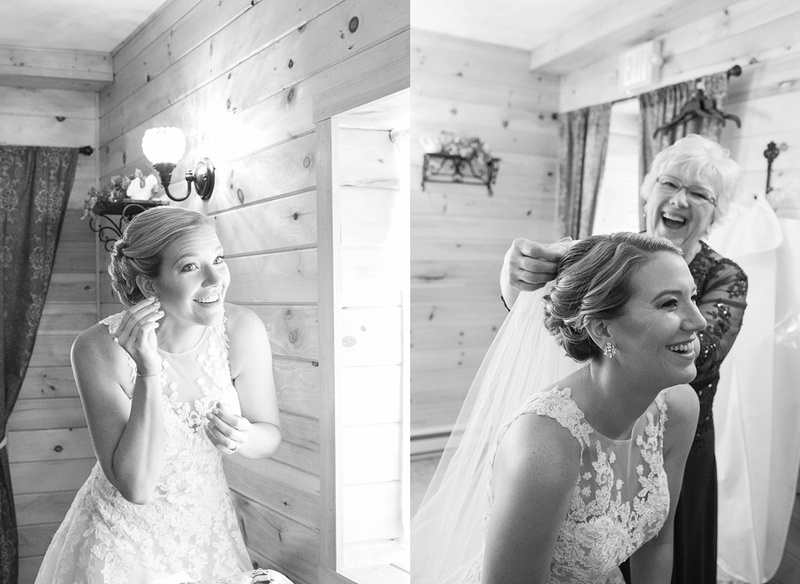 Such a sweet moment! 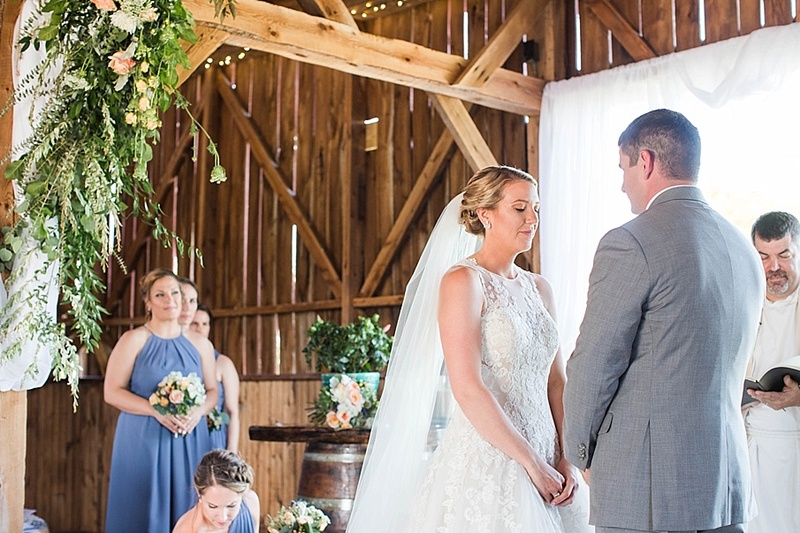 Janelle & Evan’s ceremony was held in the new ceremony barn with a view of the pond and the waterfall in the silo in the background. 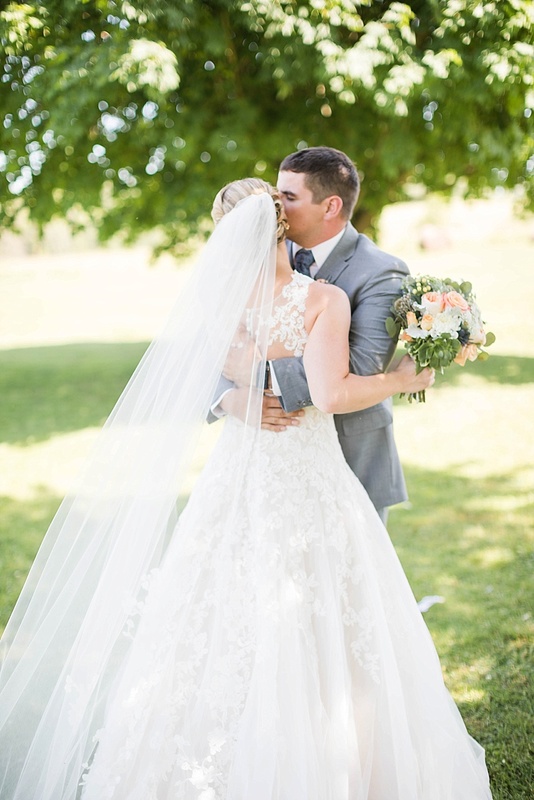 It was dreamy! 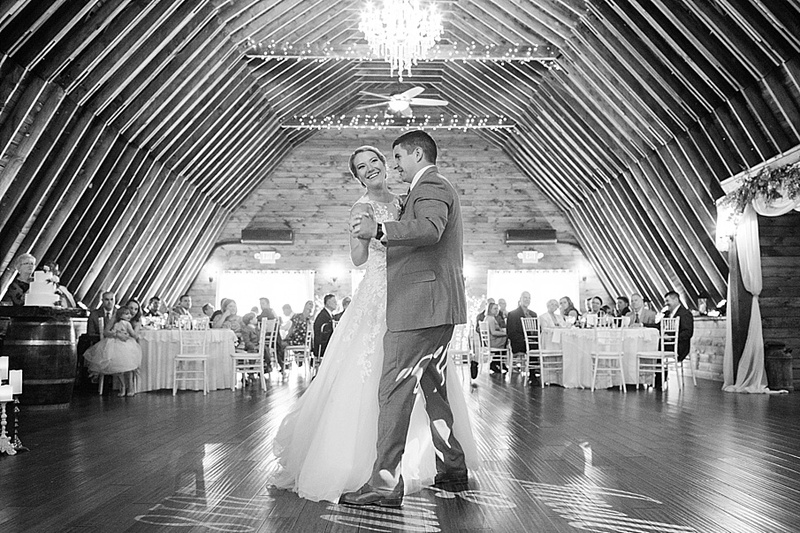 Adam from Skuba Entertainment had everyone on the dance floor all night long! 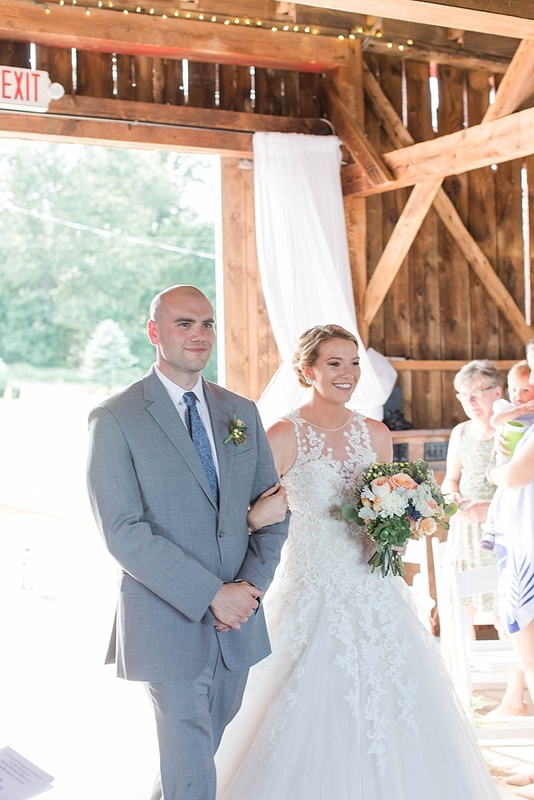 Janelle & Evan love country music so I was excited to hear some of my favorite songs throughout the night too! 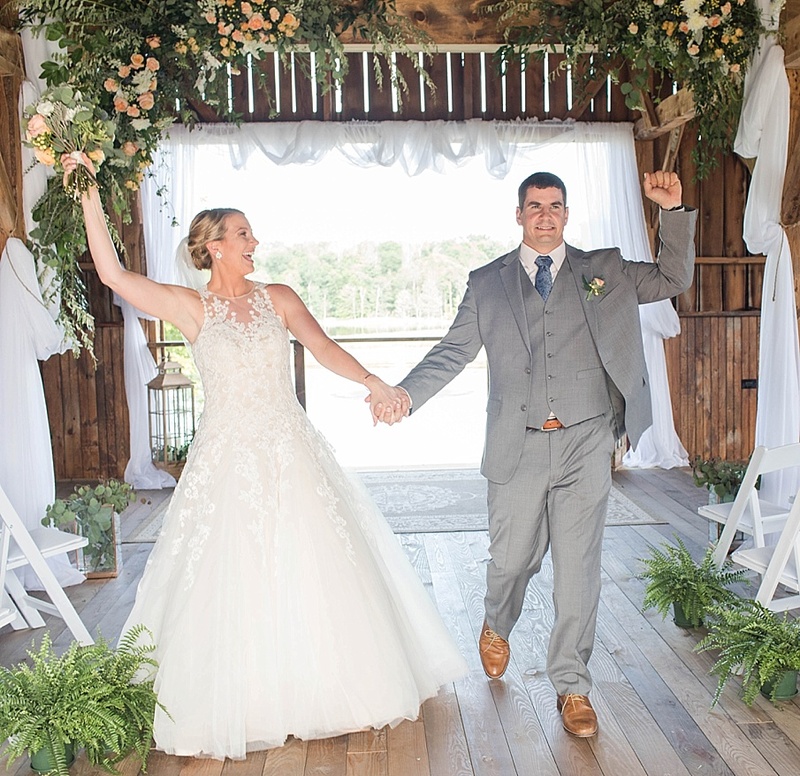 Everyone had a blast dancing and getting their photos taken in the Confetti Photo Booth!